This arrived yesterday after a long wait for the order from the book depository. 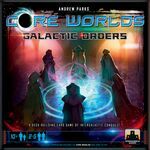 There's so much buzz around this game I can't wait to get home from work, read the rule book and try it out! Still deciding if I want the game or not. Due to its price (bit expensive although very good production) I must see if it's something I would solid want to keep. Playing it first would actually help. Just ordered a copy of Macao, which we've taken ages to finally pull the trigger on. 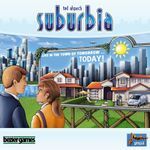 I discovered Suburbia whilst researching my next purchase, but its impossible to get a copy, especially in South Africa. I played this for the first time last weekend. 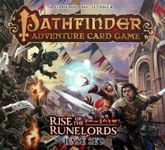 We all thought it was fantastic, just itching for the chance to get this to the table again. Alas, it is a "wife" weekend, so no gaming until next week. Been sitting on the shelf not played for entirely too long and I have the itch for some 4x fun, but I don't foresee it happening since we will be at my father in laws this evening and if any games get played it will be some lightweight stuff, will probably take along Rise of Augustus. Because I would play it any chance that I get. Because i think it's here a great euro! It's not the 28th anymore, but i would like to try this game to see if i like it. The subject apeals to me, but it's not easily soloable and i don't know if i'll have a parter to play it.